Elections for councillors on Epsom and Ewell Borough Council are taking place on Thursday 2nd May 2019. These are local elections when you have the opportunity to use your three votes to elect three borough councillors to represent you in Ewell Court Ward. In May, we hope that you will continue to keep local government truly local by voting once again for Ewell Court Residents’ Association candidates Eber Kington, Peter O’Donovan and Guy Robbins. Eber, Peter and Guy are your current councillors on the Borough Council, which has been run successfully by Residents’ Association councillors for over eighty years. Eber, Peter and Guy are local people with a knowledge of, and interest in, Ewell Court who believe that we should keep party politics out of local government and focus on the needs and aspirations of the local community whilst also representing the interests of the borough as a whole. 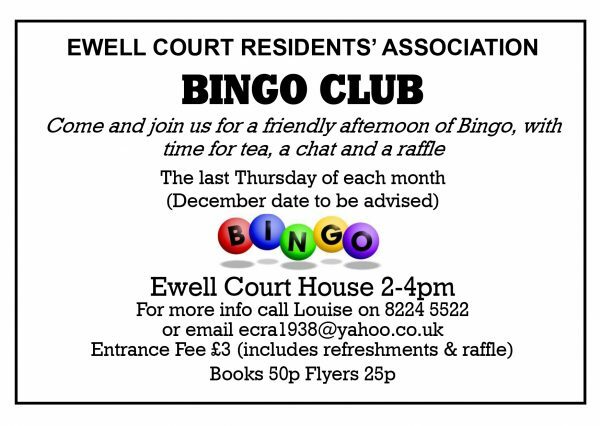 They are also very much engaged with our residents outside of council issues, being part of Ewell Court RA’s team which runs the duck race, quiz nights, bingo sessions and other social events. During his time as a councillor Peter has focused on Planning and Environmental issues. He has been on the Planning Committee since he was elected in 2015 and regularly gives advice on the planning process to residents who understandably are not always sure how they can find out about, or object to, or support a particular development in their locality. He also liaises with the planning department whenever any contentious planning applications in Ewell Court Ward are received, bringing some of applications to the full planning committee for decision. Peter also writes regularly in the Courtier on some of the bigger and sometimes more contentious planning applications in Ewell Court or the Borough, keeping us up-to-date with key planning issues as they develop. As Vice Chairman of the Environment Committee Peter was heavily involved in the introduction of Simply Weekly, the new weekly domestic recycling and waste collection service introduced in 2018. As other councils move to fortnightly and even monthly collections, the service in Epsom and Ewell is not only more frequent but has led to an increase in the recycling rate comparing favourably to the downward trend in much of Surrey. 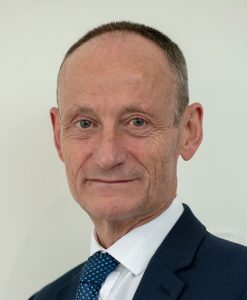 He took over as Chairman of the Environment Committee in May 2018 and continues to oversee the car parks, waste and grass cutting to name a few areas. And of course, Peter is also a regular wader and duck “pusher” in the Hogsmill River during the annual ECRA Duck Race! Guy’s main focus over the last four years within the council has been health related issues and as well liaising with the local Police. His focus within the local community has been local charities, helping the elderly, local schools and our local library. As a member of the Health Liaison Panel he has taken the opportunity to question those who provide local health services for our residents. He has campaigned for the proposed new acute unit to be sited at Epsom General Hospital as well as the retention of a 24 hour A&E unit, which should support treatment for all but the most serious cases. He also continues to oppose the current planned disposal of land and estate buildings at Epsom General Hospital, arguing that any sale will serve to limit the services and options available for the future. Guy currently has regular meetings with our local Police Community Support Officer from the Epsom & Ewell Safer Neighbourhoods Team, discussing Ewell Court issues and receiving regular updates on Police activity locally. Along with being a volunteer driver for Age Concern Epsom & Ewell, Guy is also a Trustee on the Executive Board. He is a Governor of West Ewell Primary School Guy and a member of their Finance Committee and the IT Steering Committee. Guy has supported the Ewell Court House Cinema Club when he has been free and highly recommends it. He a user of our volunteer run library and has been seen act as a judge at the wonderful competitions they run during the year – probably the hardest part of his work over the last four years! 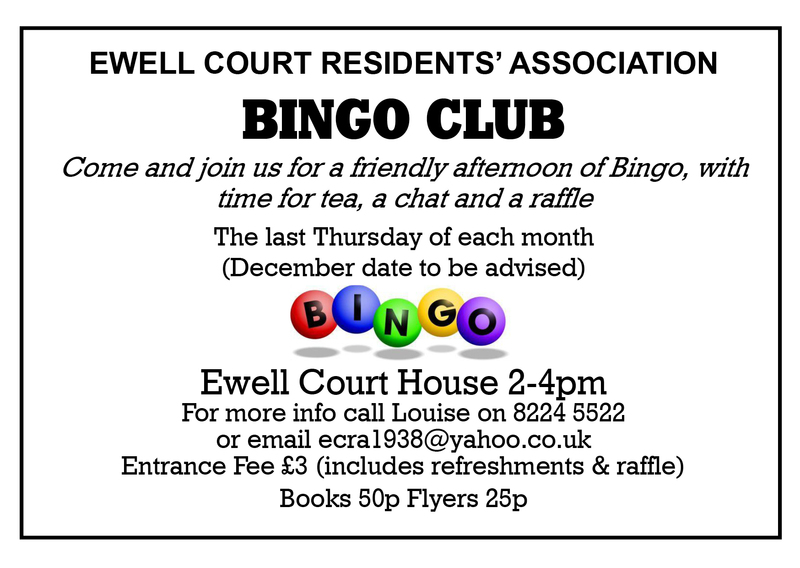 One of his favourite ways of meeting local residents has to be the ECRA Bingo afternoons at Ewell Court House where the biscuits and, dare I say it, the banter are a joy to behold! 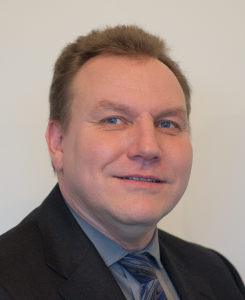 Eber has been your Borough Councillor since 1987. He lives in Woodland Close and has built a reputation for acting quickly on residents’ concerns, keeping in touch with them as matters progress. Even if he cannot directly assist with a problem he will find someone who can. He visits the locations where problems are causing concern, takes photographs as necessary, and follows up on issues until they are resolved or reach their conclusion. He is keen to keep our residential streets green and clean by discouraging parking on verges, supporting the planting of appropriate new trees in the verges where residents request them, and reporting quickly any damage to the street furniture. 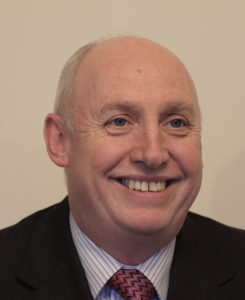 Over the past four years, through his work as Chairman of the Borough Council’s Strategy and Resources Committee, Eber has ensured that the Council’s finances are on a secure footing with no cuts in services and one of the lowest council tax rates in Surrey. Eber has also been your County Councillor for the last ten years. He has been a constant critic of SCC inefficiencies and poor financial management and has campaigned against SCC’s decision to switch off our streetlights at night and cut the local highway budget. In addition to his council work, Eber raises funds for local voluntary groups through his involvement with the ECRA and charity Quiz Nights, and every year he provides us with a megaphone running commentary during our annual Duck Race – from the Hogsmill River! Over the past four years Epsom and Ewell Borough Council has been led by Residents’ Association councillors, including your Ewell Court ward RA councillors Eber Kington, Peter O’Donovan and Guy Robbins. Below are some of their policy initiatives and successes. ECRA has a vibrant and active social scene, with many events throughout the year. Many of these events, such as our popular Quiz Nights and the annual Duck Race have a fund raising focus and they successfully bring the community together for a great cause. Why don’t you join us and help out?